There’s even more to explore on the rest of the 4.3-acre property. Some notable features include a garden, tennis court, fire pit, and spa. If homeowners are looking to make friends in the neighborhood, T. Boone Pickens, Mark Cuban, and former president George W. Bush all live close by. The North Dallas home currently on the market shouldn’t be confused with Southfork Ranch, the home used for the show’s exterior shots. 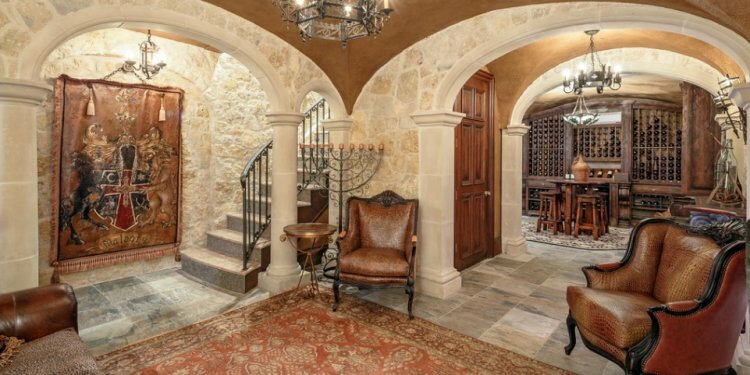 Fortunately Dallas fans can experience that particular property without shelling out millions: It’s open for tourists to come and see Jock’s Lincoln Continental, Lucy’s wedding dress, and the gun that shot J.R.
All images courtesy of Allie Beth Allman/Zillow.